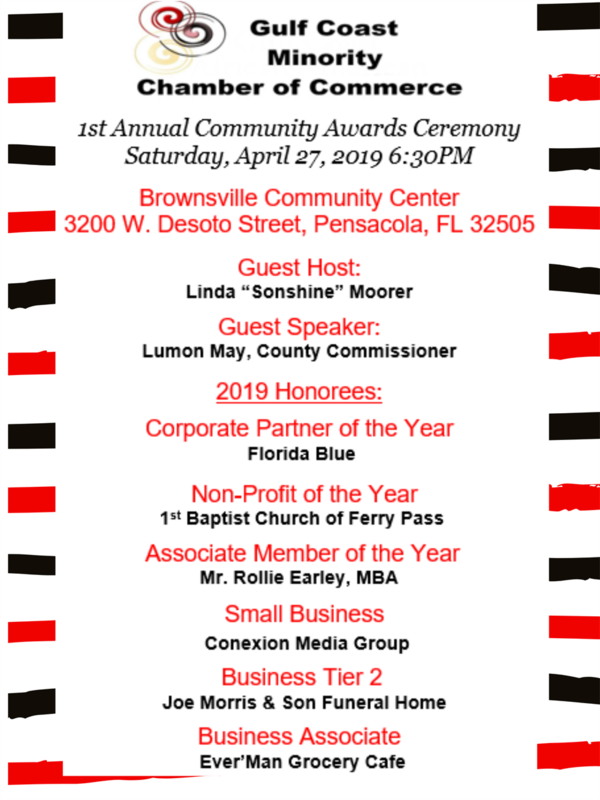 Gulf Coast Minority Chamber of Commerce - The Community Award HONOREES are... Get your tickets today! The Gulf Coast Minority Chamber of Commerce is celebrating its 1st Community Awards Ceremony. For this year’s Community Awards Ceremony, we are honoring exceptional individuals/ businesses that have made a difference by partnering with our community, mentoring others, and have a bold vision for the future. The Gulf Coast African American Chamber of Commerce is celebrating it's 4th Annual Community Awards Ceremony.